January is the perfect time to renew your commitment to being healthy. 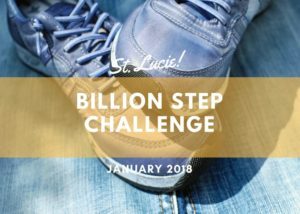 On January 1, 2018, Healthy St. Lucie will launch the largest group walking challenge in St. Lucie history, the Billion Step Challenge. According to the 2013 BRFSS* survey, over 50% of adults in St. Lucie County are inactive or insufficiently active. Physical inactivity has been linked with an increased risk for developing a variety of chronic diseases. Walking is a free and easy activity to get started on your journey. Healthy St. Lucie invites worksites, community organizations, friends, families, and faith groups to join us by forming teams to compete against one another. Together, we can reach the goal of a billion steps in 2018. Registration for the Billion Step Challenge is expected to start in December 2017. Please stay tuned for information on registration and kick-off events by following us on Facebook. 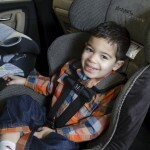 We look forward to walking with you! *The Behavioral Risk Factor Surveillance System (BRFSS) is the nation’s premier system of health-related telephone surveys that collect state data about U.S. residents regarding health-related risk behaviors, chronic disease conditions, and use of preventative services.